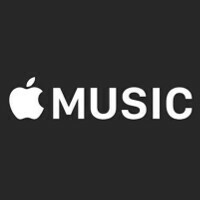 Oliver Schusser, a Vice President at iTunes International, says that the Apple Music team is continuing to work on fixes to the feature that offers streaming music. The executive says that Apple needs to work on its playlists and on editorial content. Apple Music also was blamed for messing with iTunes users' existing music libraries, and others complained that the UI was not intuitive. Schusser responded to some of the criticism by pointing out that Apple Music launched in 110 markets simultaneously. At the end of this month, the 11 million who signed up for Apple Music's free three-month trial will have to decide on whether to actually pay for the service. One report that said 48% of users had already stopped using the service was dismissed by Apple with the tech titan saying that the actual figure was 21%. Those who decide to pay for Apple Music will have to shell out $9.99 a month for an individual account, or $14.99 monthly for families with up to 6 people. Apple is looking to add more trial members through a new marketing campaign that is being worked on. Another area that will be improved over the course of the year is Apple Music Connect. This is where artists get to personally disseminate information to fans. "Apple Music Connect is growing big-time with more and more artists connecting to their fans, but we still have a bit of homework to be done for the rest of the year," Schusser noted. The iTunes executive said that the Apple Music for Android app still needs some work, but it will be ready to be pushed out this fall. They already cleaned up the for you tab. It's much cleaner. Sounds like theyre trying to avoid the "users still using the service" topic. "I may have a super unhealthy diet, but I focus mostly on the taste of the food in my mouth than the actual food that goes in. Please stop asking about the healthiness and amount of food I intake and ask about the taste instead."